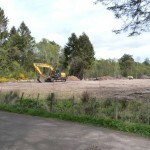 In May 2015, members of the public contacted Kemnay Community Council to report concerns regarding seemingly unauthorised excavations at Craigmyle, Kemnay. The site is shown circled red on the plan below and two photos identify the nature of the work involved. 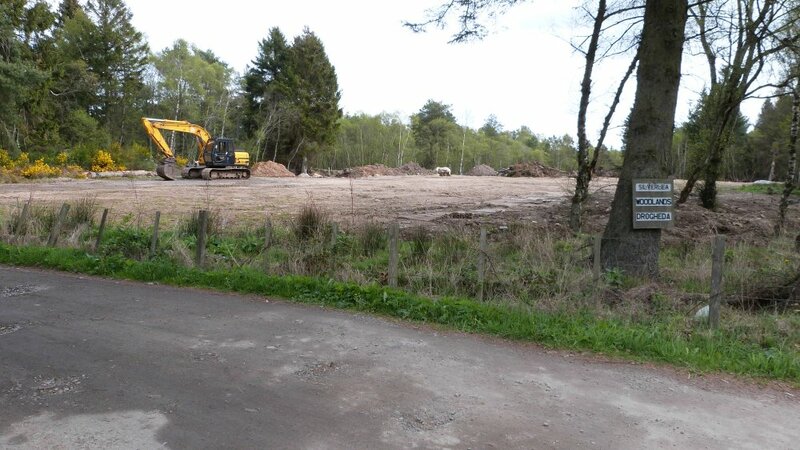 It appeared that an area of mixed silver birch and Scots pine woodland had been felled and the area levelled and graded to make it flat. 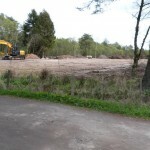 The purpose of the earthworks was unclear and there was no record of any planning application being submitted for earthworks on this site. 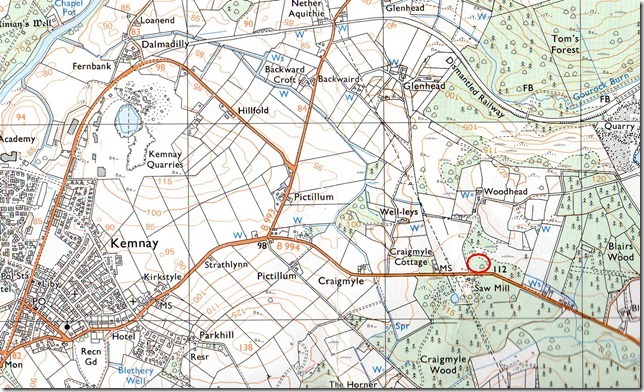 Speculation was that there was an intention to create a car park for HGV lorries and form a new access on to the B994 close to the bend, which might create a safety issue. There is an existing similar authorised facility opposite the site owned and operated by Howie Transport and it may pose considerable danger having lorries egressing on to the B994 on both sides of the road close to a dangerous bend. 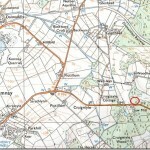 I refer to your concern regarding the land east of Craigmyle Farm and the clearing of trees, etc. there. 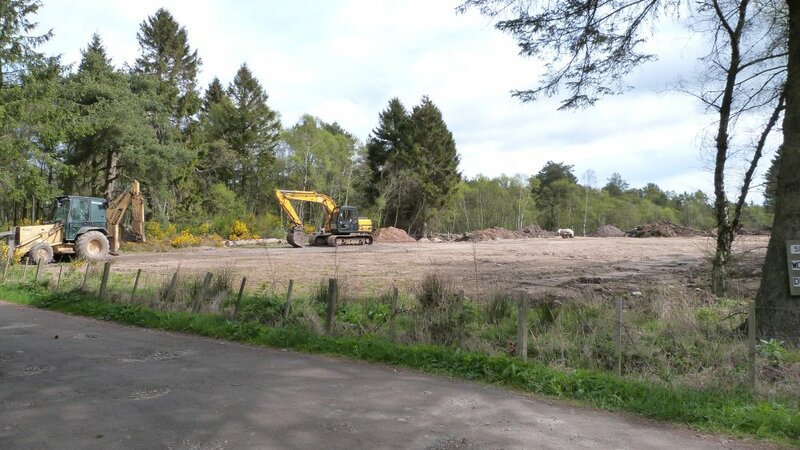 I just wanted to inform you that after investigating this matter the Planning Service (along with the Environmental Planners) have deemed the ongoing works there without planning permission to be unauthorised. I have made contact both in person and in writing with the landowner and advised them of this. I have made them aware that should any works continue without planning permission then we may consider taking formal enforcement action against them. Should they decide to development this site further they have been advised to contact the local Planning Team to discuss their intentions and the submission of any planning applications. I have also made SEPA aware of the ongoing works there, they may wish to carry out their own investigation. I will continue to monitor this site, but should anyone become aware of any further development could you please let me know.